…I must say it is soo cool in a new City to know you cannot get lost and you instantly find your way to anywhere. If the battery goes there is always the Taxi and also I am familiar with the really good Metro System by now. 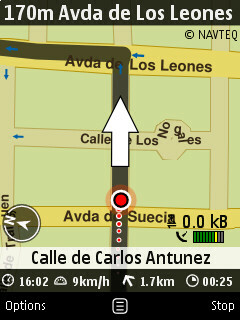 Nokia navigated me from Las Condes (map) down to the Austrian embassy (map) and back without getting lost . Also I already visited the ECELA language school (map) and back by inline skates / roller blades. So far so good. The thing is good. There are some problems still though. One of them is that the Nokia Maps just do not do search at least not in Chile. In Germany they worked well in the past. However Mark from The Nokia Blog helped me out a lot with this article: link So all in all Nokia maps are not perfect but certainly fun to use. 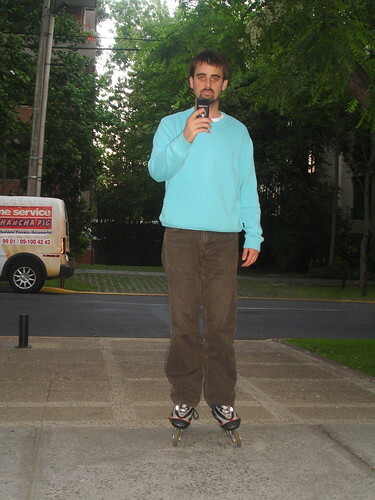 i just came to your blog via kyle’s blog. i saw you had some info about taxes for expats. i’d love to hear more. also,welcome to chile. looks like you’re having a wonderful time so far. how long you planning on staying? where are you from? the only thing that I hate is the in the streets names of Chile.